Prague is one of the most beautiful cities to visit in summer. On weekends, the city is alive more than ever with locals and tourists flocking to the riverside to enjoy a cold beverage on a warm summers day. Sit in Old Town Square watching the world go by and listen to the Astronomical clock chiming on the hour. That is Prague, only at face level, but go deeper and you will be amazed at the history of the beautiful city and how those events shaped where it is today. Now, if I’m completely honest, I don’t like tours, I avoid them at all costs. I gave this one a go because I thought it would be a good idea to get my bearings and see what there was to see and I would 100% recommend this to everyone. First of all, it’s free and it only goes for three hours. I was lucky enough to have Andrea as a guide and she was a fountain of knowledge. I learnt & saw so much in those three hours. It’s a fantastic way to start your time in Prague! 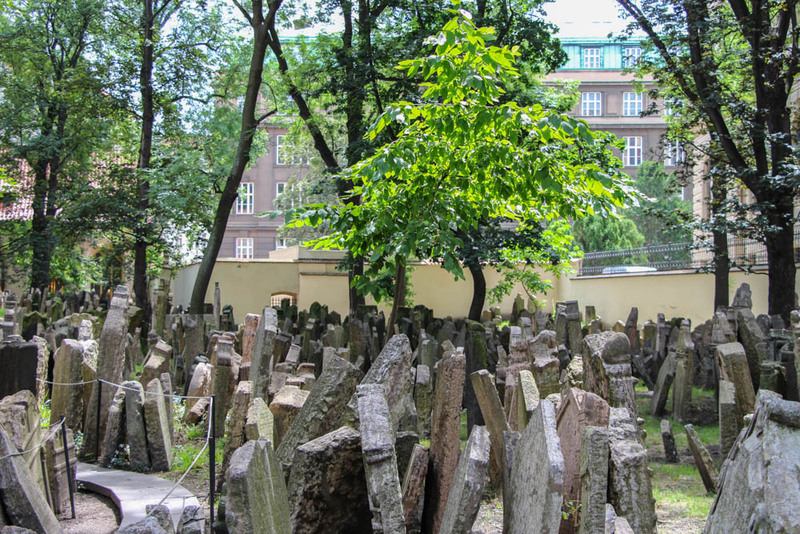 The Tour starts at Old Town Square known as the beating heart of the city, where you’re then taken to New Town, Wenceslas Square and then the Jewish Quarter. I would definitely make time for this because the city is so full & rich with history, you should get the chance to learn about it. 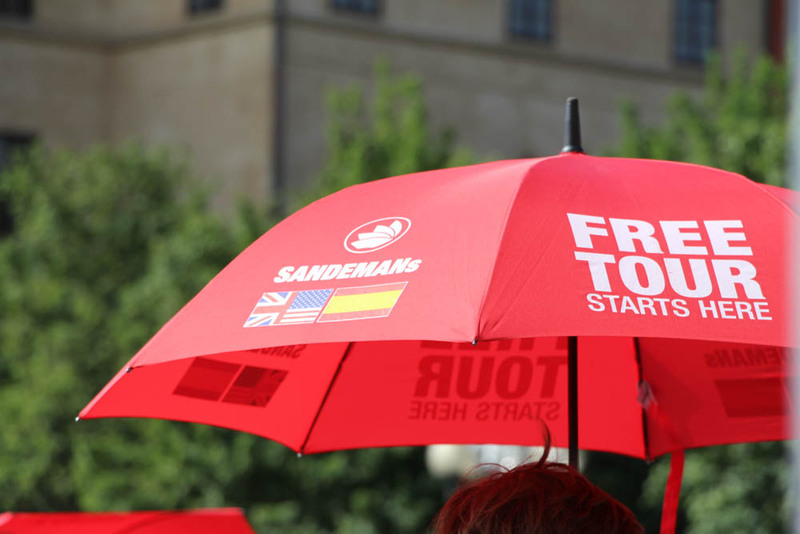 They also have offers for other tours around the city if you’re interested including Prague Castle. Tickets will be available during the tour break. This is a must when visiting Prague, to get there you can catch tram 22, or you can walk. I try and avoid public transport in cities, unless it’s a necessity, because there is so much to explore and see and you never know what you’re going to stumble across. Once you reach the top of the castle, you will have breathtaking views of the city and dodge tourists for the prime spot for a selfie with the backdrop. Once you enter the castle through security, you will buy your ticket. There are different categories of tickets depending on what you want to see. I got a Category A ticket (350 CKZ/$20AUD), because it gives you access to most buildings within the Castle. The one building I would recommend is number 10 (X). South Tower of St Vitus Cathedral. This unfortunately wasn’t part of ticket A. Now you will climb some stairs, actually that’s an understatement, there will be a lot of stairs to climb, but let me assure you that it’s so worth it! Because you’ll reach the top and have a good laugh with fellow tourists on how your lungs are collapsing but then you will be met with a beautiful view of Prague. Cross Charles Bridge to get to Mala Strana where you will find the vibrant John Lennon Wall. This wall was a non-violent rebellion for the youth during communist times. They used this wall for free speech where they contributed inspirations quotes, their dream and ideas. Now the wall is filled with writing from those who have visited all over the world. The wall is hidden on a quiet street and is definitely something you should see once. I was lucky enough to catch a Classical concert with two nights left, before they finished their season, resuming again in October. Now originally although I wanted to see it, I was a bit worried about the time, with travelling solo and all. So the concert started at 7pm and finished at 8pm, but after researching when the sun goes down (do any other solo travellers do this? ), I realised it would be ok to go and I would be back at the apartment before the sun set at 9pm. Anyway I saw Parnas Ensemble, at the Rudolfinum, which is the second most significant Neo-Renaissance building after the National Theatre in Prague. It was a fantastic performance, their talent left me speechless. They played the best selection of classics, from Mozart to Bach. So if you have the opportunity go and see a show, as there are multiple playing around the city during summer time. Just not on Saturday, which is their Sabbath day. This is something I forgot about, so I was lucky I had an extra day in Prague to visit the next day. Again like Prague Castle, they have category tickets, which allow you to see certain buildings or all of them. I got a ticket that allowed me access to all buildings (500CKZ/$29AUD). The section that affected me the most, while exploring was Pinkas Synagogue . Within the Synagogue, there are names of on the walls of all the Jewish people that lost their lives during the war. As well as the paintings of children who endured conditions, no one ever should. These paintings were a way for children to express how they were feeling, with the help and guidance of Friedl Dicker-Brandeis an Austrian born artist who made it her mission to teach the children how to transport their ideas and thoughts on paper. I accidentally stumbled across Loreta. Intentionally headed towards Petrin Hill, but made a wrong turn and ended up following signs for Loreta. It is a pilgrimage destination and can’t go unnoticed with the chiming of the clock on the hour from 9am to 6pm and comes alive with the tune Hail Mary Thousand Times. There isn’t a dress code to enter the church as I was in the middle of a run when I visited and wasn’t fully covered as some churches require you to be. Entry is 150CKZ/$9AUD and you have the added option of an audio guide (extra 150CKZ/$9AUD). Once you enter the frontal building you come across the main chapel in the courtyard and surrounding this is a heap of other corner chapels. The interior is beautiful and worth spending the time to explore. My only regret is that I didn’t take an audio guide to learn more about Loreta. Ladies and Gentlemen, if you’re going to experience anything in Prague, let it be this! Beer Spa’s are a big thing in Prague and I’m not sure why they haven’t made their way to Australia yet. Even if you don’t drink beer, it’s worth experiencing. I was lucky enough to stay at Vinohradsky Dum, which offer Beer Spa’s at a discounted price for guests, in their basement. This happened to be a wonderful coincidence. I finished my four day trip to Prague with a Beer Spa, which was a nice and relaxing end to a wonderful visit. The experience lasts an hour, where the receptionist downstairs, (I was lucky enough to be looked after by Tereza), ensures the bath is prepared and brings you a beer while you relax in the beer spa. You're in the bath for about 45 minutes and then you’re taken to another conjoining room, where you lay on a bed and relax. Just in case you’re wondering whether you should do it, it’s a fact that Beer Spas reduce stress and put you in a better mood. Let your tastebuds go wild when you try Trdelnik, also known as Trdlo. Found on every street corner in Prague, these are hard to walk passed. There are a variety of options available, you can get original which is made from rolled dough with a hole in the middle. It’s then grilled, and topped with sugar and walnut mix. You can then go a step forward and add Nutella to the inside. Or you can make your way to Good Food’s which is across the road from the Charles Bridge entrance and treat yourself to the most amazing Trdelinik, which is filled with Ice cream. I may or may not have gone back for another. Ok I went back for another. 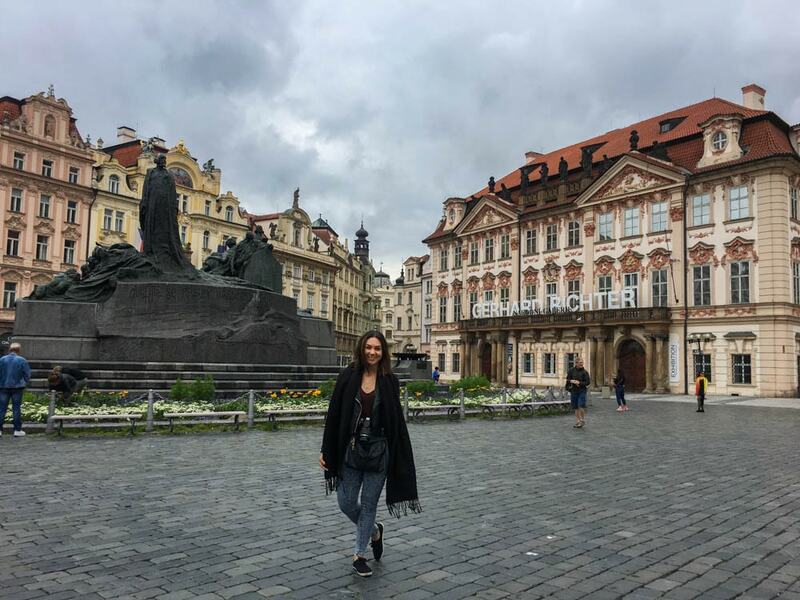 Old Town Square, is also known as the beating heart of Prague, and is busy with people walking by enjoying the architecture, children chasing bubbles floating through the air and groups of people enjoying a beer or two at surrounding restaurants. Every hour on the hour, the astronomical clock chimes, with tourists crowding around to see the historic clock that was first installed in the early 1400's. Unfortunately while I was there, I was unable to climb the bell tower and marvel at the view of Old Town , as it was getting re-vamped. The famous Charles Bridge connects Old Town to the Lesser Town, Mala Strana. The is a must when visit Prague. To avoid the crowds and enjoy a nice stroll without bumping into tourists, I would go before 9am. However if you then wanted to climb Old Tower, you would have to wait until 10am. To get another breathtaking vantage point of Prague I would recommend climbing the tower. You will have to climb some stairs to get to the top, (just imagine how good your legs are going to look after this trip! haha) and you will pay entrance on the first level. This costs 100CKZ/$5AUD and allows you to marvel at the view of the city, there are small plaques under the window illustrating what part of the city you are looking at. Who's tried any of the above in Prague? What was the standout?